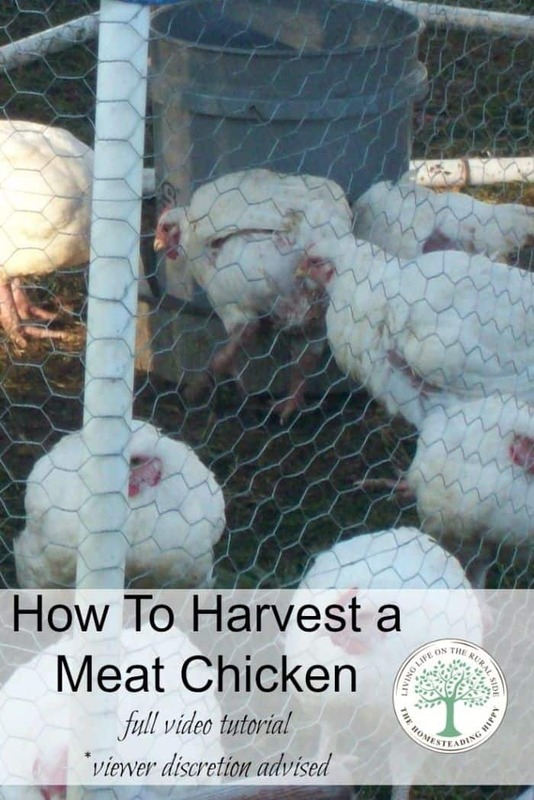 This video will show you how to harvest a meat chicken humanely step by step for human consumption. The chickens that are shown in this video were given the best life possible, from being able to roam free and be the “best chicken they can be” and were harvested with the best practices. Please feel free to NOT watch if you do not agree with this. And, view discretion is advised regardless, because some younger viewers may get upset at the site of the guts being removed. If you wanted to learn how to harvest your own chickens, this video is for YOU. We will take you through the steps of humanely processing the chicken as well as showing you how to skin one and how to remove the feathers with this awesome plucker. 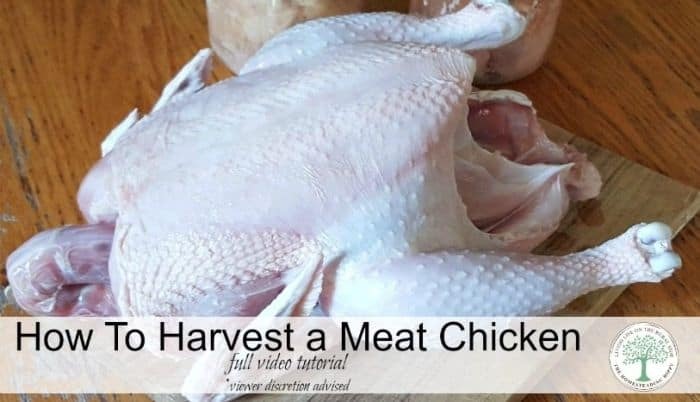 Then, we take you inside to show you how to easily remove all the innards so that the chicken can be either frozen whole or cut up into pieces for freezing or canning. Please feel free to ask any questions about this process. I love you to pieces and I watched for informational sake, but I’m happy to pay my guy $5 a bird to not have to do it myself LOL.